Volente Beach Resort & Waterpark is a family-friendly, lakeside water park with rides, pools and more. Next door is Beachside Billy's, the only full service restaurant at the resort and is open for lunch and dinner Wednesday through Sunday during the Summer. Live music on the patio every weekend and lots of sand for the kids to play in. 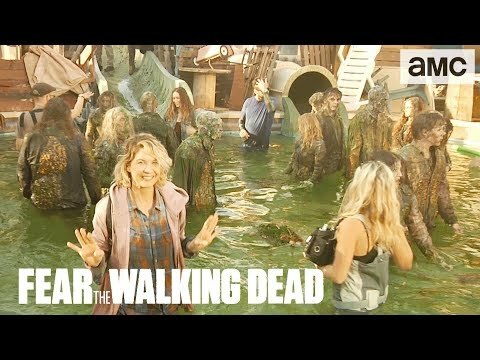 Naomi (Jenna Elfman) & Alicia (Alycia Debnam-Carey) travel to the abandoned waterpark to retrieve supplies, which they spot at the top of a waterslide. Naomi is soon confronted with one of the Infected and ends up in a tense battle, narrowly avoiding a pool of walkers thanks to the help of Alicia.